Make yourself at home in one of the 23 air-conditioned guestrooms. Complimentary wireless Internet access keeps you connected, and cable programming is available for your entertainment. Bathrooms have showers and complimentary toiletries. Conveniences include desks and complimentary newspapers, and housekeeping is provided daily. Located in New Delhi (Paharganj), OYO 10848 Hotel Geeson is within a 10-minute drive of Jama Masjid and Kasturba Gandhi Marg. 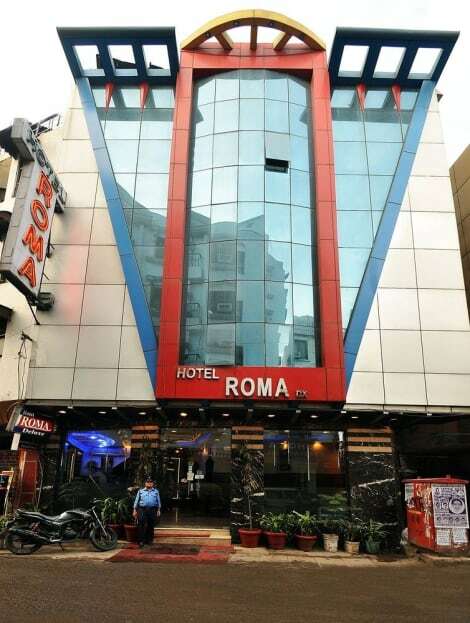 This hotel is 1.9 mi (3.1 km) from Red Fort and 2.1 mi (3.4 km) from Chandni Chowk. Enjoy a meal at the restaurant, or stay in and take advantage of the hotel's 24-hour room service. Featured amenities include complimentary wired Internet access, a business center, and express check-in. Planning an event in New Delhi? This hotel has 200 square feet (19 square meters) of space consisting of a conference center and a meeting room. Free valet parking is available onsite. With a stay at Hotel Roma DX in New Delhi (Paharganj), you'll be within a 15-minute drive of Jama Masjid and Kasturba Gandhi Marg. 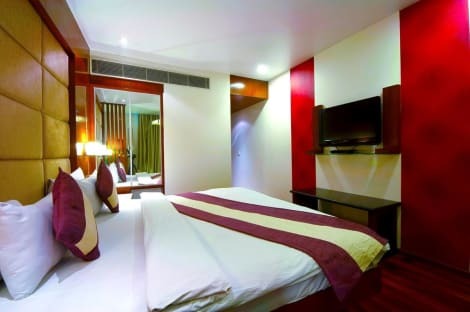 This hotel is 2 mi (3.3 km) from Chandni Chowk and 2.1 mi (3.4 km) from Red Fort. With a stay at Zostel Delhi in New Delhi (Paharganj), you'll be within a 15-minute drive of Jama Masjid and Kasturba Gandhi Marg. This hotel is 2 mi (3.2 km) from Chandni Chowk and 2.2 mi (3.5 km) from Red Fort.